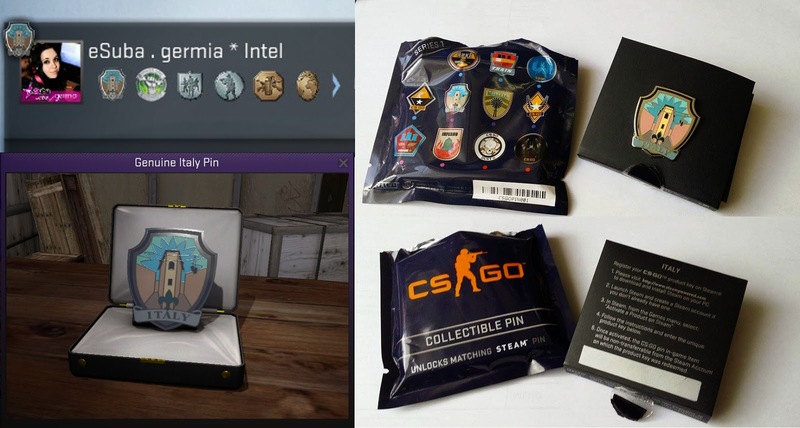 Coins, pins and trophies are in CS:GO a displayable reward, that you can find in-game beside your player´s name and avatar. First coins were added in February 2013 and pins were added in February 2015. These items are displayed near your CS:GO avatar next to the achievement medals, but even if you have more of them, only one can be displayed at a time. Let´s look on what types of displayable items there are and what is their meaning. 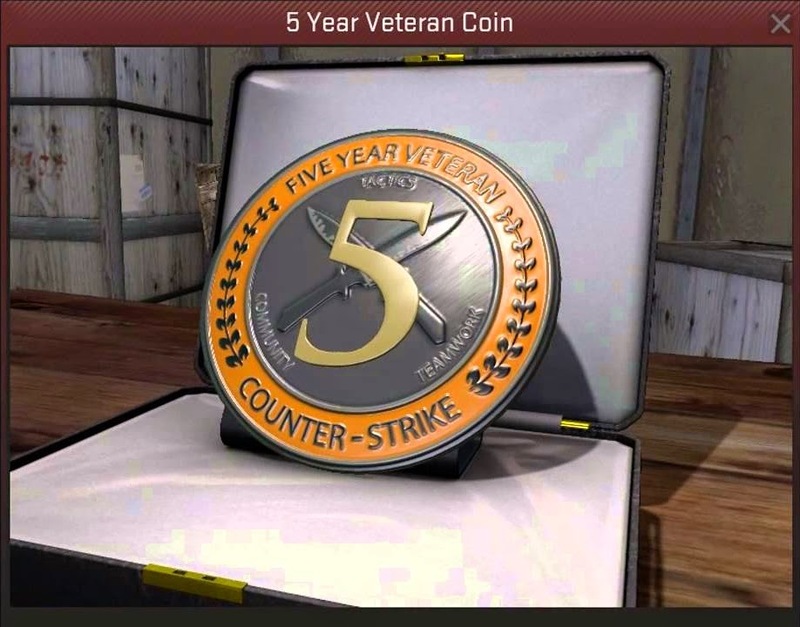 1) The Five Year Veteran Coin, that was brought to the game in August 2013 to honor players, that owned and played any CS game 5 or more years and have clean VAC record. 2) Map Contributor Coin is rewarded to authors of community created maps used for operations. 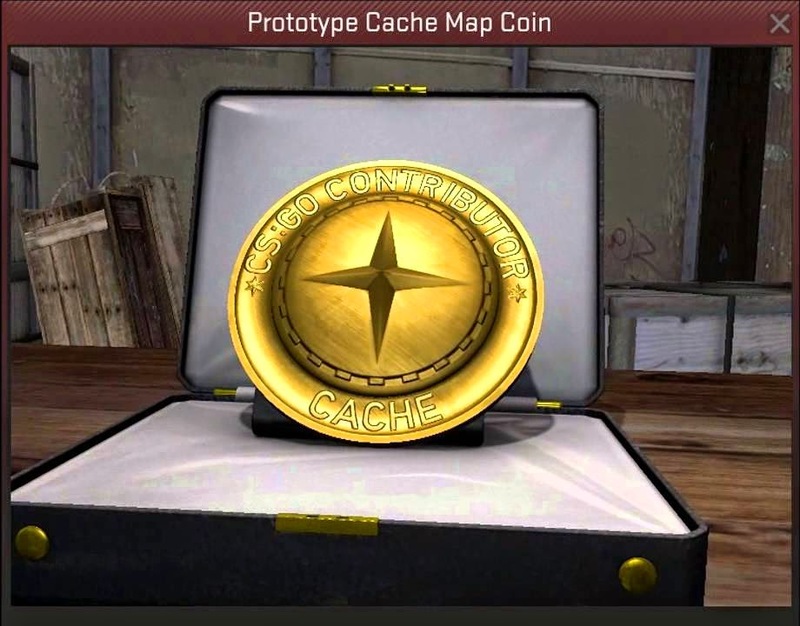 On the coin, there is a name of the map created. As an addition, tha map´s author received a special operation pass with higher quality. These reward coins can´t be traded or sold. Operation coins are received by purchasing an operation pass when available. The coin has three grades: brozne, silver and gold, that can be upgraded by completing challenges or missions during the operation. The coins can´t be traded or sold. 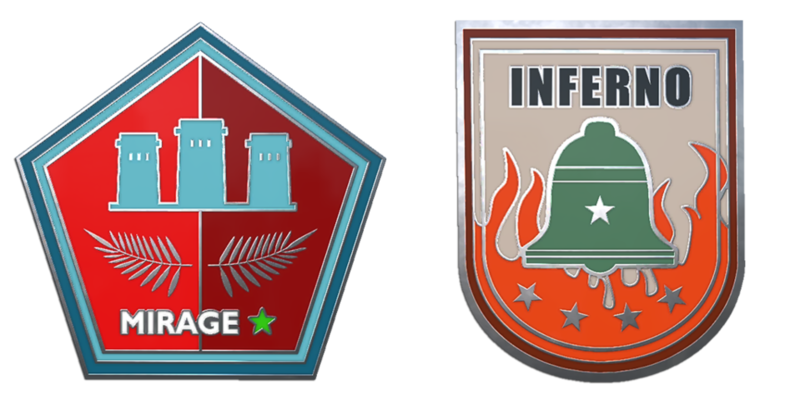 1) Operation Payback coins, that can be upgraded by your playtime on operation maps (Silver: 10 hours, Gold: 50 hours). 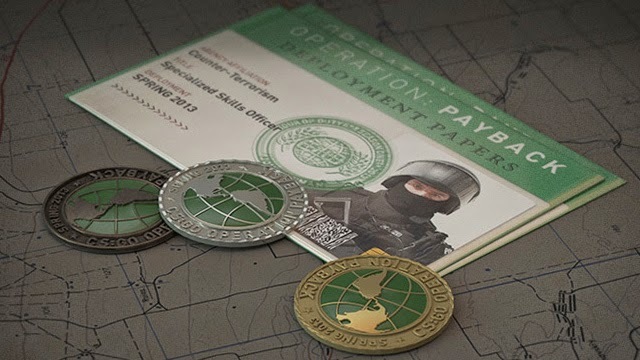 2) Operation Bravo coins, that can be upgraded by your playtime on operation maps (Silver: 10 hours, Gold: 30 hours) and competetive wins (Silver: 5, Gold: 15). 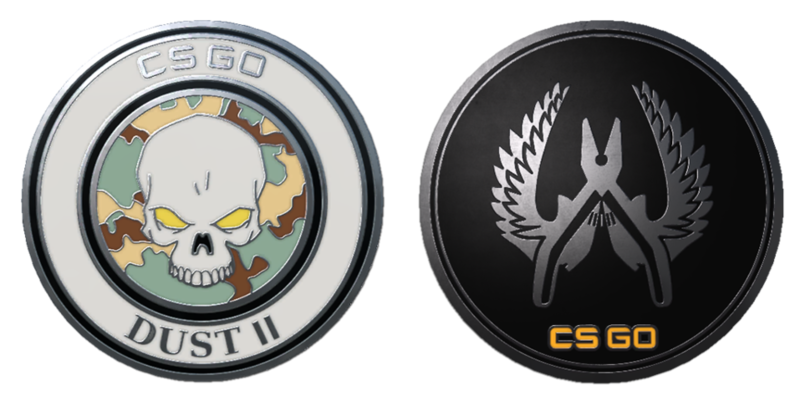 3) Operation Phoenix coins, that can be upgraded by your playtime on operation maps (Silver: 10 hours, Gold: 30 hours) and competetive wins (Silver: 5, Gold: 15). 4) Operation Breakout coins, that can be upgraded by completing mission, that are dropped on operation maps (Silver: 5 missions, Gold: 15 missions). 5) Operation Vanguard coins, that can be upgraded by completing campaings, that are earned by completing three lines of missions in operation journal (Silver: 3 campaign stars, Gold: 4 campaign stars). 1) Dreamhack 2013 Tournament - Champion, finalist, semifinalist, quarterfinalist. 2) Katowice 2014 Tournaments - Champion, finalist, semifinalist, quarterfinalist. 3) Cologne 2014 Tournament - Champion, finalist, semifinalist, quarterfinalist. 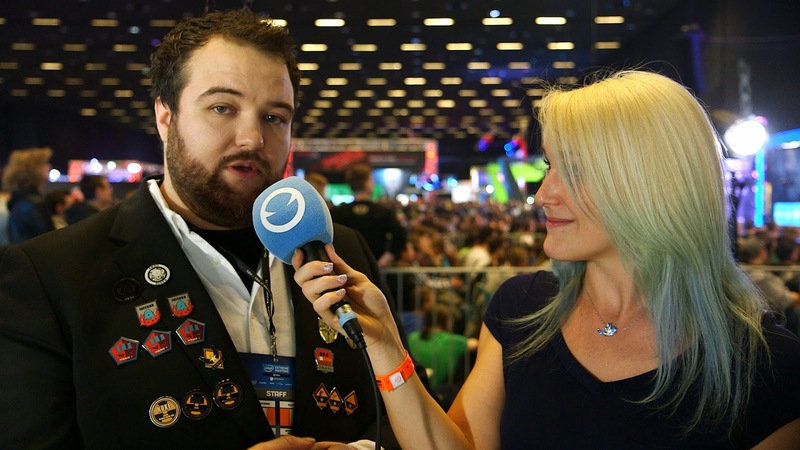 4) DreamHack 2014 Tournament - Champion, finalist, semifinalist, quarterfinalist. 5) Katowice 2015 Tournament- Champion, finalist, semifinalist, quarterfinalist. Pins were introduced in February 2015 and are the first item you can purchase physically and not only in-game. 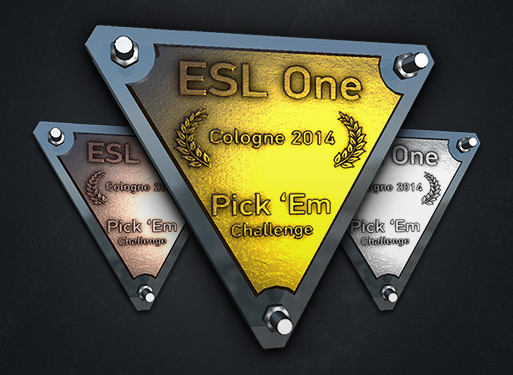 There were sold on ESL Katowice 2015 tournament to all atendees. With an in-game code you can ativate a virtual pin in your game and display it by your avatar. The pins were sold in unmarked packages, so you couldn´t purchase a specific pin. If you´re willing to buy one of these pins, they are currently very very rare. You can buy them on ebay or ask players, who took part on IEM Katowice.